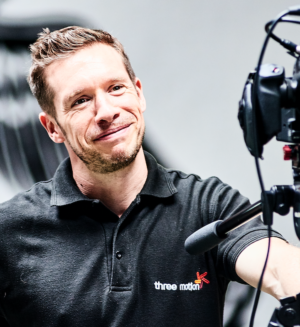 Three Motion, the Newcastle video, animation and creative training agency, is on course for turnover of £1m and a doubling of its workforce within the next three years. The company was formed in 2012 and is based at Hoults Yard in the city. It has enjoyed a record 12 months, completing work for global brands including Remy Cointreau and Hitachi. Its most recent project was a full-scale video marketing campaign for Cobalt Business Park, aimed to raise awareness and promote the region as a place for businesses to flourish. Three Motion Creative Director Neil Wood-Mitchell (right) said: “This last year has seen us bolster our production capacity and our ability to offer Video Marketing support to our clients. Over the next three years, we want to increase our North East team from eight to 20. "As video and animation are increasingly at the heart of a business's digital strategy, we've seen an increasing demand for professionally driven video content. We’ve been fortunate to have worked alongside some brilliant organisations and brands such as North East Children's Hospital, Greggs, Jack Daniels, Newcastle University and Sage, in recent times. “Our latest project at Cobalt Business Park is a great example of what we do and the collaborative approach to business we take with other creatives here in the North East. During this campaign, we partnered with TAC Design who developed associated branding, designed to raise awareness of the business park and promote its culture of work and having a life balance." Lynn Cramman, Cobalt Business Park’s Business Development Manager, added: “We’re delighted with the campaign, it really brings to life what Cobalt Park has to offer and the team was a pleasure to work with.